Not Too Hot, Not Too Cold...Just Right! 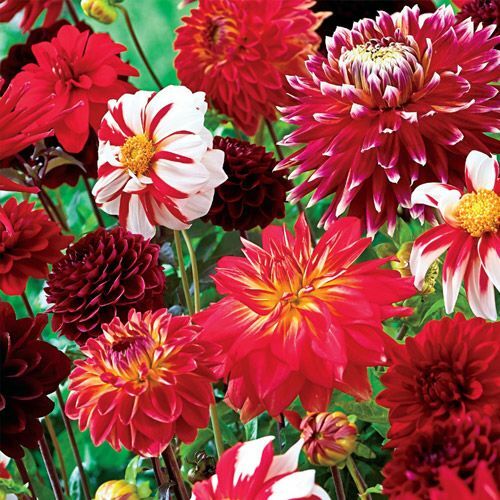 Flushed red blooms are cooled off by snowy white blooms in this smoking Dahlia mix. Adds a flash of color to borders and makes an especially sizzling cut flower. 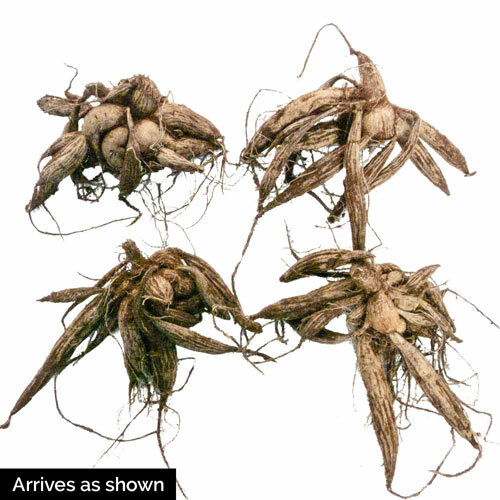 For best flowering, plant in full sun and prune dead heads. Bloom TimeMid summer until frost.